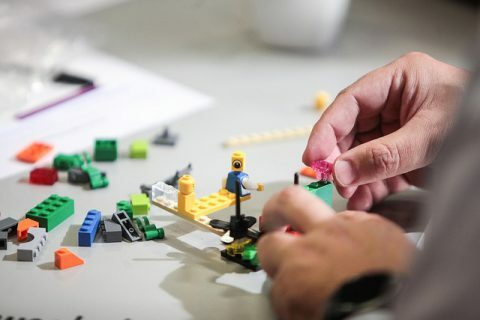 A Lego Serious Play workshop will be held at the Australian National University in Canberra. This is part of the TELFest a showcase of innovative use of technology for learning, 5 November 2018. . I have previously been a participant in one of these workshops run by Dr Stephen Dann and observed another. The first had six teachers reflecting on learning, the second with three hundred software engineers. The insights which come from paying with a few bricks are hard to believe, unless you have participated in one of these sessions. The event is free, but registration is required. ps: I will be speaking at TELFest, on "Ten Years Teaching Graduate Students Online: Some Hard Lessons".